If you are the fan of Bollywood’s dabbing Salman Khan. Let me tell you that his upcoming movie “Tiger Jinda Hai” will be released on Christmas Eve this year. Fans of Salman Khan are eagerly waiting for his forthcoming film Tiger Jinda Hai Salman’s next upcoming film has remained in the discussion for a long time. And in this movie you will see Salman Khan and Katrina Kaif pair together after a long time. This movie is the sequel of ‘Ek Tha Tiger’ which came in 2012. Salman Khan or Katrina Kaif has some pictures of the film being viral on social media with the set of film Tiger Jinda Hai. On the occasion of Diwali, Salman Khan has given a fabulous gift to his fans. Actually Salman Khan has released the first look of his upcoming movie “Tiger Jinda Hai”, tweeting with his twitter account, releasing the first look of his film, along with ” Did you like Diwali gift? 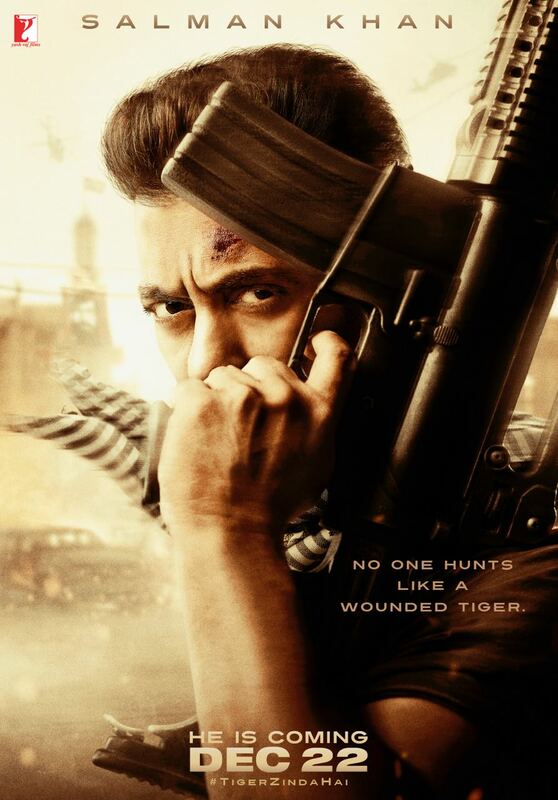 Now meet on Christmas … “Salman in this poster.” Let’s tell you that recently a photo of Salman Khan came out from the set of movie Tiger Jinda Hai, in which Salman Khan’s look is quite good and Sirius seemed to. If the same Bollywood traders believe, they say that every movie of Salman Khan will start well at the box office. Salman Khan’s forthcoming film Tiger is alive, will be released on Christmas this year. Because Salman Khan’s film released on Eid this year proved to be folly at the tube-light box office. Because of which, now everyone’s eyes are on their next film Tiger is alive. The movie Tiger is alive, the entire team has shot Abu Dhabi from 4th May to 65 days at many places in the city. At the same time it is known that the shooting of this film is completely over. Now the editing of this film is going on.